Mrs. Janice Elaine Shaw Gray, age 81 of Hartwell, Ga.., went to be with the Lord on Saturday, June 16, 2018 at Brookdale Assisted Living. She was born December 23, 1936 in Terrebonne Parish, LA to the late C.W. Shaw and Norma Estelle Keene Shaw. 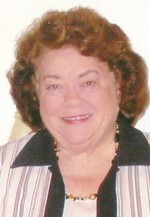 She was retired from the Center for Disease Control in Atlanta where she was an administrative Assistant. She attended Hartwell First Baptist Church. She loved to play the piano, to garden and grow flowers. She is survived by; Her husband, Samuel B. Gray, Jr., children, Samuel Kerry Gray of Iraq, Donna Gayle Barden of Batetsville, AR and Sherri Laine Jenkins of Elberton, Ga., sister, Loretta Gayle Foutch of Ft. Worth, TX. Grandchildren, Amber Bardwell, Jenny Saunders, Katie Barden, Jessica Law and Stephanie Gray, great-grandchildren, Chance Bardwell, Charm Bardwell, Cameron Saunders, Leo Getman and Luke Getman. She was preceded in death by her parents, and brother, James Shaw. Funeral services celebrating the life of Janice Shaw Gray will be held on Sunday, June 24, 2018 at Two o'clock from the chapel of Coile and Hall Funeral Directors. Rev. Tommy Childress and Mrs. Sherri Jenkins will officiate. Burial will follow at Reed Creek Baptist Church Cemetery. Coile and Hall Funeral Directors of Hartwell will be serving the Gray family. To send flowers to the family of Janice Gray (Shaw), please visit our Heartfelt Sympathies Store. Proudly Serving the Communities of Hartwell, Hart County and surrounding areas.